Could Now be the Perfect Time to Buy a Home? We’ve all heard about how interest rates are at an all-time low… and how they’re expected to go up within the next couple years. 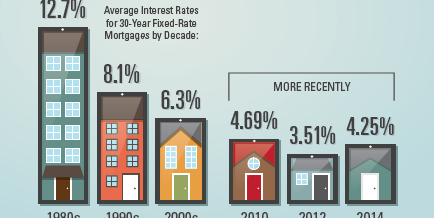 But for those who may be new to the home buying market, what exactly does “all-time low” mean? Let us put it in perspective for you… take a look at why now really is the best time to buy!